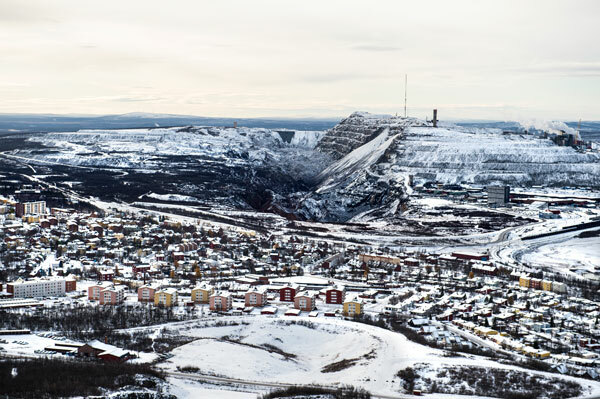 ‘Moving a City’ tells the story of Kiruna’s historic move and its challenges. Sweden’s northernmost city was founded more than 100 years ago because of the rich iron ore deposits in the ground. Today, mining is the main source of income for the city. In fact, the iron ore mine is so important that Kiruna is moving the whole city center to allow mining activities to continue and expand. Around 6,000 people will need to move over the course of the next 20 years. Also, some 3,000 homes will be demolished and rebuilt or relocated in the move that is estimated to cost a total of €1.3 billion. While Kiruna is facing a significant challenge, the move is also an opportunity – to create a new, modern and sustainable city for the community. “In this film we follow the relocation project and how Volvo machines are working on the new city center, preparing it for new apartments and stores. This episode showcases what the vision of Volvo CE and these megaprojects is all about: to build the world we want to live in,” says Tiffany Cheng at Volvo CE. The Kiruna episode follows the first installment of The Megaproject Listing, which presented the important re-building of the Interstate-4 highway in Florida. The megaprojects in Volvo CE’s series are also key features of the newly re-launched Spirit Magazine in print, online and on social media.